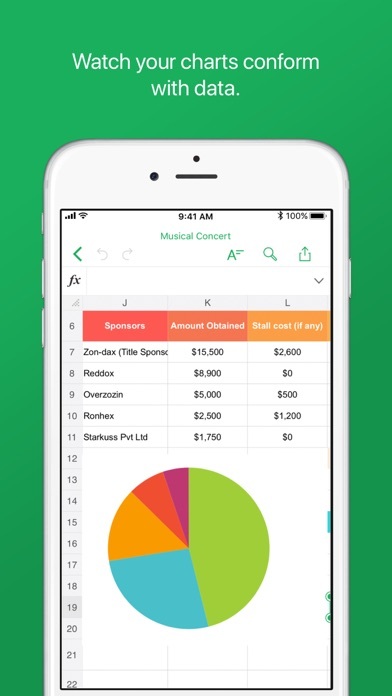 Create a new spreadsheet or import an Excel file to work on, break down data with your team and share your spreadsheets, with the free Zoho Sheet app for iPhone and iPad. 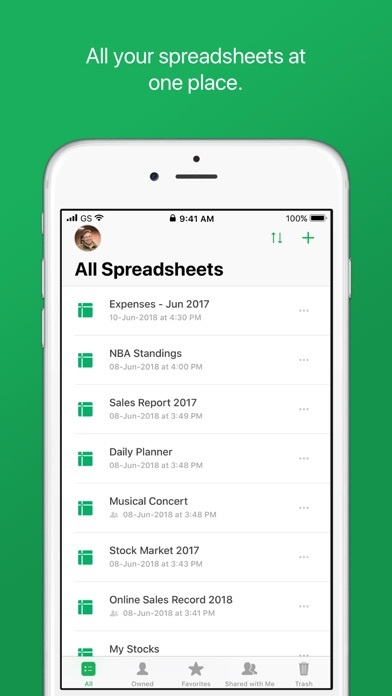 Here's how Zoho Sheet can be the spreadsheet app for you: SPREADSHEETS ON THE GO Whatever your device, Zoho Sheet never compromises on functionality. 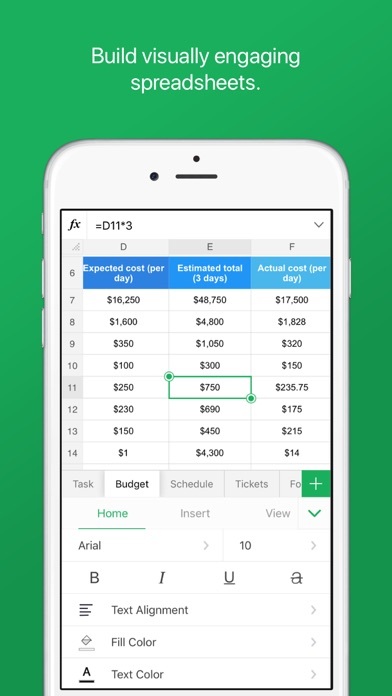 Create your own spreadsheets, share them, and work on them across devices. 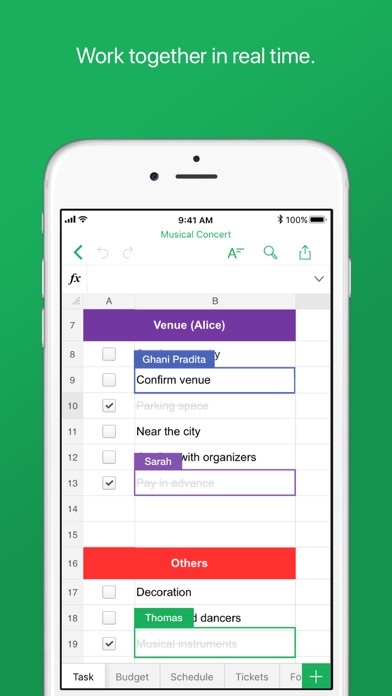 WORK WITH YOUR TEAM View and make live changes in your spreadsheet with your team, no matter how far apart you are. Add cell/range-specific comments and @mention colleagues to tag them, all inside your spreadsheets. BREAK DOWN THE NUMBERS With around 350 functions and formulas, we make sure your data analysis is accurate and complete. Zoho Sheet has a Smart Bar that helps you finish up calculations in a jiffy. ANALYZE YOUR CHARTS Explore your charts in full screen where you can filter your series, tap on points to view data, zoom in on your charts, set visibilities for your series, titles, legends, and much more. 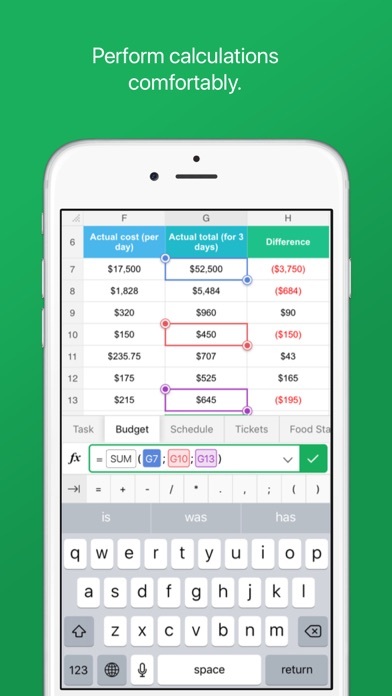 MAKE A CALL, LITERALLY Call up your contacts or leave them a text message in a jiffy, with a single click—from inside your spreadsheets, using number formats in Zoho Sheet. 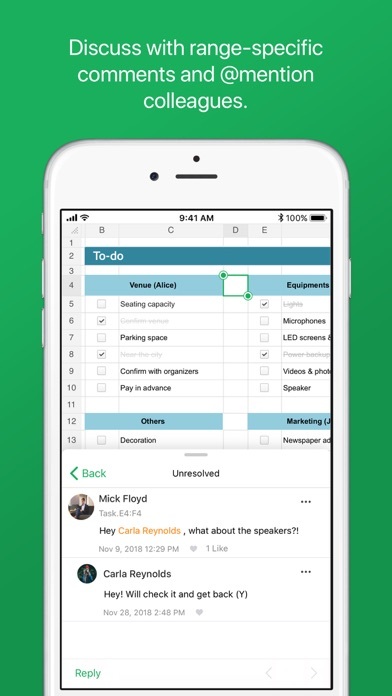 SHARE YOUR SPREADSHEETS In addition to real-time collaboration with your friends and colleagues, you can share your spreadsheets via messaging apps or other media as a Microsoft Excel (.xls, .xlsx), or PDF file. COPY SHEETS UNIVERSALLY Forget about repeating mundane spreadsheet tasks. Duplicate your sheets within the same spreadsheet or copy-paste them into other spreadsheets in your list. Have a feature in mind that you would like to see in Zoho Sheet? Write to us at ios-support@zohosheet.com. It has worked great for over a year for me. Only works with a fresh install and sign in. Any subsequent attempt to open the app results is green loading screen with no success. Can't review, because it doesn't function. Makes you sign up to try it but nothing works. Just goes back to the sign up screen. Waste of time. Stops at 94% when trying to create a new spreadsheet. Freezes when trying to open an existing one.